New Single”SAKURA…LALALA” will be release as a Single ! AMAZONからご予約受け付け中！ Please reserve on AMAZON! “SAKURA…LALALA” is a perfect Pop Rock song for cherry blossom season! It”s available worldwide. 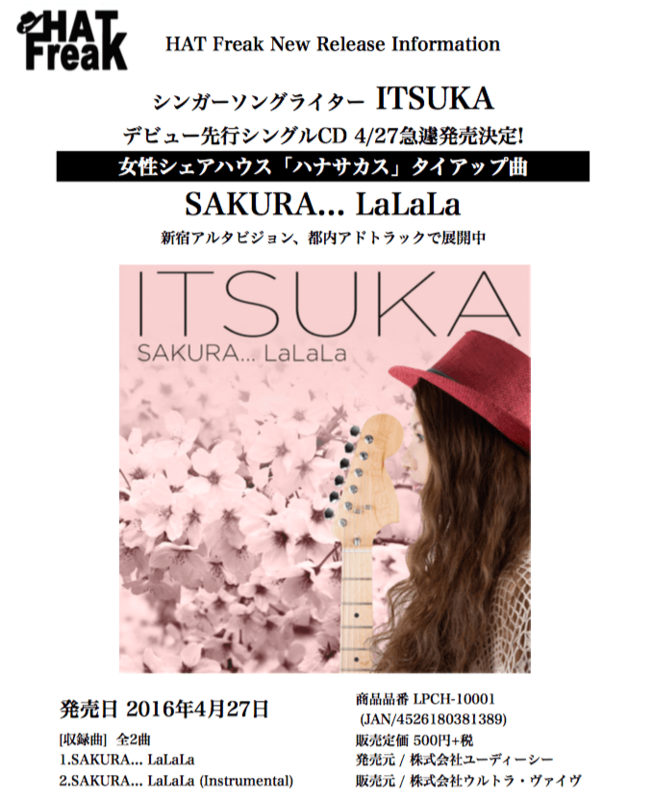 Search “ITSUKA Sakura… LaLaLa” on iTunes & Amazon.